2.5.2014. Once upon a time Jim's mother Orpha told me that, while she and his father Jickey were traveling on tramp steamers in their early retirement, she'd enlisted Jickey's assistance in making a crewel-work seat cover -- a lovely traditional rose pattern, as I recall. The Zimmers don't do boredom. 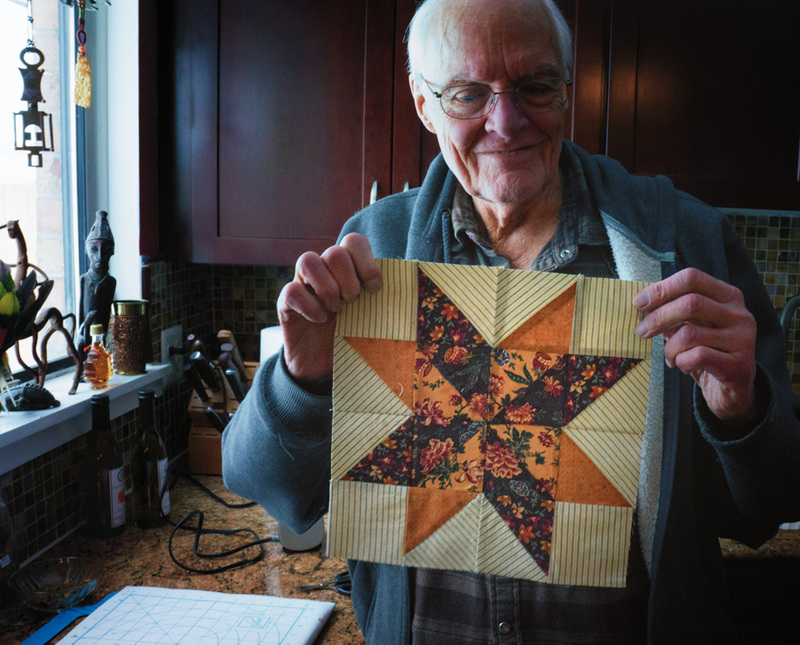 And so, on this little tramp steamer beached in a field of snow, Jim pitched in to piece a traditional star quilt block. It all started with one of Jenny Doan's "this is really easy!" 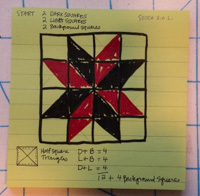 quilting videos, plus my notion to start making an "anything goes" sampler quilt. Jim was game. So today about 8:30 AM, we picked out our fabric and I drew a sketch of what we were aiming for. 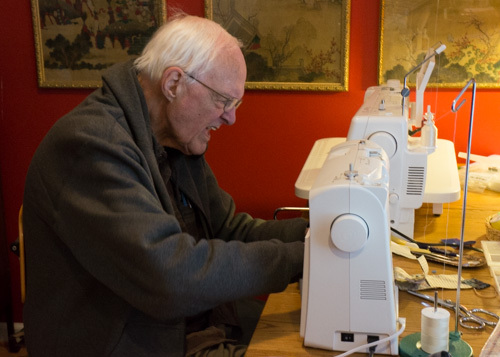 Jim manned the sewing machine for the first set of "half-square triangles." We were troubled that the size varied between 3" and 3-1/4" so we bit the bullet and laboriously (i.e, measuring from the center) trimmed them all to 3." 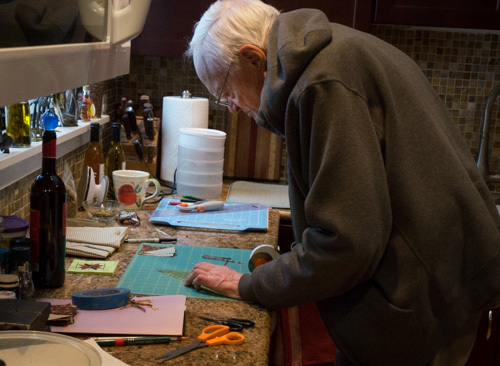 "Remember," Jim kept reminding me, "this is folk art. It shouldn't look machine-made." You got it, love. 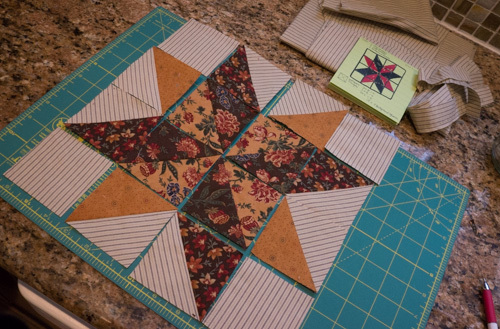 I knew the method for getting the blocks pieced together and Jim did all the sewing. We only had to rip out a seam once -- an increasingly typical Susan mistake, pinning the fabric together along the wrong edge. We critiqued our work... a couple points didn't quite match up like they should have -- rookie mistake. But overall, we are pleased. With the drone and crash of snow plows outside, we'll take adventure where we find it.